EB Portfoliomanagement is dedicated to providing investors with powerful investment solutions in easily accessible ways. Our investment philosophy is driven by empirical evidence of the risk and return properties of traditional and alternative asset classes. We strive for cost-effective implementation and alignment of interest throughout all aspects of our business. The firm was launched in March 2014 and is regulated by the Austrian Financial Market Authority. It was launched as a family office with the purpose of implementing an institutional setup to efficiently manage a portfolio of financial assets resembling the liquid allocation of large US university endowment funds and first class family offices. Because an Austrian open investment fund (the “EBPM Fund” or “Fund”) was identified as the most effective way to manage the portfolio, the firm’s investment strategy is also available to outside investors in Austria and Germany via standard brokerage accounts. In addition to managing the EBPM Fund, we selectively offer individual managed accounts in order to provide bespoke alternative asset solutions, as well as independent fee-based advice on asset allocation, with a particular focus on liquid alternative assets, an asset class we consider to be our core competency. Our lean internal organization is supported and monitored by experienced and well regarded third-party service providers. Compliance with the strict regulatory framework laid out in the Wertpapieraufsichtsgesetz 2018 is monitored on an ongoing basis by an independent compliance officer and subject to regular internal audits. We rely on PwC Austria to audit our books and to perform the mandated annual review of our internal processes. The Fund targets delivering equity market returns with significantly lower levels of volatility. The EBPM Fund combines access to some of the world’s most distinguished alternative asset managers with a global portfolio of blue chip listed equities. The combination of equities and liquid alternative investments resembles the liquid subset of the asset allocation of large US university endowments. Our marketing presentation as well as our quarterly letters can be accessed after registering an account on this website. The EBPM Fund (ISIN AT0000A17Z11 – WKN Deutschland A1110N) is approved for distribution to private investors located in Austria and semiprofessional investors located in Germany. The Fund is tax transparent and subject to the respective withholding tax regime in Austria and Germany. A significant share of the fund’s assets are held by its managing team and related persons. This co-investment creates both a stable asset base and a culture of strong alignment of interest between fund management and outside investors. Furthermore, the firm does not charge investors in the above mentioned tranche of the EBPM Fund an ongoing management fee. We only get paid of positive Fund performance above the maximum value of the Fund’s shares at any historical calender quarter end date (“high watermark”). This fee structure of the EBPM Fund provides for a sensible trade-off between the convenience of a risk balanced one product investment solution for long term asset growth and the unavoidable costs of potent risk management in a low interest rate environment. The Fund’s portfolio is comprised of a basket of equities (the “Market Portfolio”) representing a broad cross-section of industries and geographic exposures. The weighting of individual stocks in the Market Portfolio is based on fundamental measures of size and profitability. To complement this equity portfolio, the Fund invests in a basket of alternative investment funds (the “Fund Portfolio”), as we believe that this provides exposure to specific streams of returns that cannot be captured through traditional asset classes. The Fund Portfolio is invested across the strategy spectrum, including Fundamental, Relative Value and Systematic strategies. The Fund Portfolio aims to deliver equity market returns while dampening the volatility of the overall portfolio via its low correlation to the Market Portfolio. To complement our core allocations we employ a currency and extreme volatility hedging overlay. The structure of the EBPM Fund, allocating about half of its assets to global equities and half of its assets to liquid alternatives, resembles the allocation relationship between those asset classes chosen by the largest US university endowments (e.g. Yale, Harvard, Stanford), where the two asset classes represented in the EBPM Fund account for 40 to 50% of total invested assets. The remaining large allocation segments (e.g. private equity, natural resources and real estate) are largely illiquid in nature and thus do not fit within the structure of a liquid open investment fund. We enforce a low minimum investment limit because we strongly believe that everybody should be able to invest according to the benchmark liquid asset allocations employed by sophisticated institutional investors. Compliance with the rules of the Investmentfondsgesetz is ensured by pre-trade checks performed by the EBPM Fund’s administrator, Spängler IQAM Invest GmbH, an experienced independent fund manufacturer. The EBPM Fund’s assets are held in custody by Raiffeisen Bank International AG. The official fund documents are available on the website of our administrator Spängler IQAM Invest GmbH. We would be happy to provide interested parties with more detail around our investment process, performance, and quarterly letters. For further information please contact us at admin@eb-pm.com. The firm offers individual managed accounts for long term investors with limited liquidity constraints which opens up a wider field of alternative assets compared to the liquid alternatives included in the EBPM Fund. The structure of the EBPM Fund in the form of an Austrian open investment fund has many advantages from an administrative point of view, including the convenience of buying and selling through standard brokerage accounts, and no or limited additional tax related expenses due to fund level withholding tax treatment. However, it requires us to follow minimum liquidity rules, which restrict the universe of liquid alternative assets that can be included in the Fund. Given the liquidity terms of the EBPM Fund, it may make sense to build a separate account for long term pools of capital which do not require such restrictions and are sufficiently large to allow for the construction of a diversified portfolio, with the understanding that minimum allocations are typically between USD 1 and USD 10 million per alternative investment fund. Managed Account Solutions may also appeal to investors who do not want the global equities exposure which comes with the EBPM Fund or require different asset class weightings. Our asset allocation review and advice offering provides a detailed quantitative and qualitative analysis of existing portfolios and provides a specifically tailored blue print for individual target allocations to various asset classes. We do not employ standardized tools but rather conduct a thorough analysis of the makeup of the portfolios we are asked to analyze and translate our clients’ objectives and requirements into an actionable plan. We have very limited capacity to provide this highly bespoke service but welcome the opportunity to discuss the possibility with interested parties. We require a very high level of transparency and access to the decision makers who ask us to engage with them. Please contact Thomas Niss to discuss mandates. Prior to founding EB Portfoliomanagement, Thomas served as Senior Vice President of the Darby Converging Europe Mezzanine Fund, a Private Equity fund that invested in subordinated debt and equity in medium-sized companies in Central and Eastern Europe. In this role, Thomas also served as Managing Director for the Austrian subsidiary of Darby’s parent company, Franklin Templeton. Thomas began his career at the Boston Consulting Group, first in Vienna and later, after completing his MBA at the Stanford Graduate School of Business, in New York. Thomas studied at the Karl-Franzens-Universität in Graz and holds Masters degrees in Law and Microbiology. 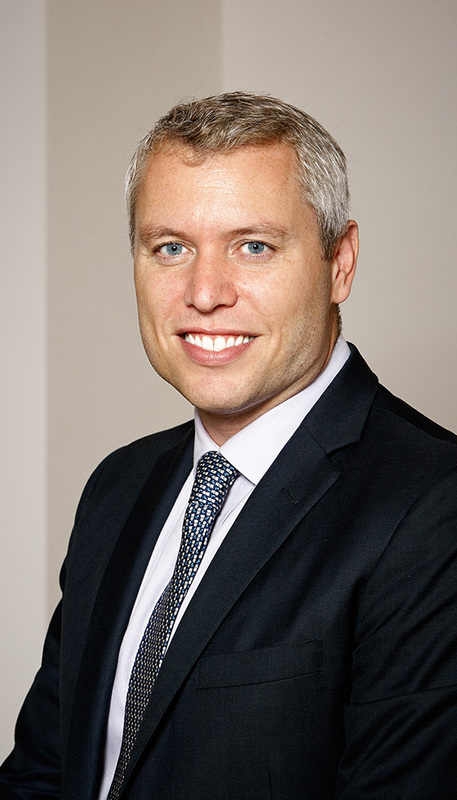 Prior to joining EB Portfoliomanagement, Christian served as a Director of Investment Research at Silver Creek Capital Management, a US-based investment manager with over $5bn in assets under management. While at Silver Creek, Christian invested in alternative strategies across the capital structure and liquidity spectrum, with a particular focus on investment opportunities outside of the United States. Prior to Silver Creek, Christian was a Senior Research analyst at One East Capital Partners, an Event Driven alternative asset management firm. Christian began his career within the Investment Banking Division at Goldman Sachs, working as an Analyst in the Mergers and Strategic Advisory and Equity Capital Markets Groups. Christian received his MBA from Stanford University’s Graduate School of Business, and received his AB in Economics, with Honors, from Princeton University. Martin is a founding member of EB Portfoliomanagement GmbH. In January 2017 he became Managing Director. 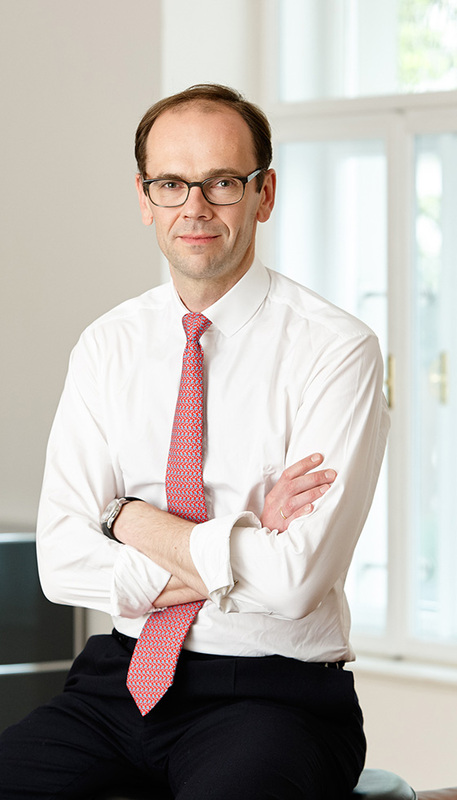 Prior to joining EB Portfoliomanagement GmbH, Martin worked at McKinsey & Company, where he most recently served as Associate Principal in the firm’s financial services practice. 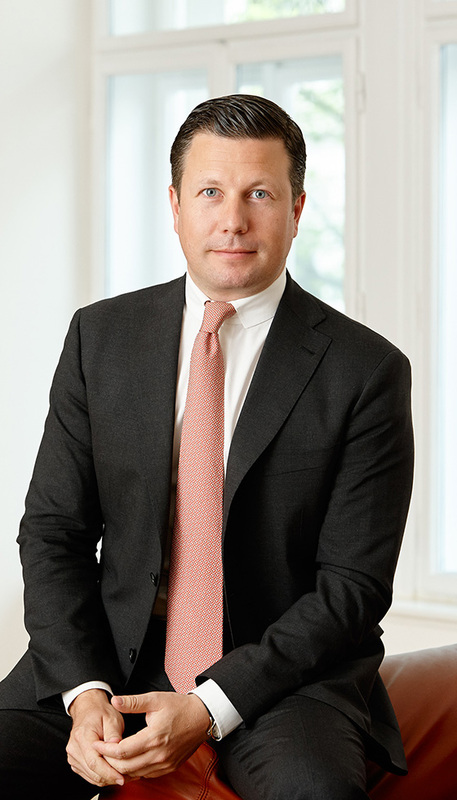 After leaving McKinsey in 2010, Martin independently invested private equity in medium-sized companies in Austria and throughout Central and Eastern Europe. Martin holds a Doctor of Law degree from the University of Vienna and holds a Masters degree in law from Columbia University. Martin is a member of the New York State Bar and admitted to practice law in the State of New York. The information on this website is not intended to constitute, and should not be construed as, investment advice, investment recommendation or investment research. It is provided to you for illustrative and informational purposes only and may not be relied upon by you in evaluating the merits of investing in any securities or interests referred to herein or for any other purpose. Before making an investment decision you should obtain independent legal, tax, accounting or other professional advice, as appropriate.